This article provides steps to delete users from your organization. 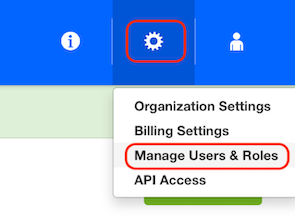 Click on the Settings icon and select “Manage Users & Roles”. You will be directed to a list of your current users. Users that are not assigned to an “Owner” role can easily be deleted by clicking the “X” on the right. You will notice that users who are assigned the role of “Owner” will not have an option to delete the user, as the “X” icon is greyed out. To remove Owners, there are a few more steps. First, the user will need to be assigned a role other than “Owner”. In order to do so, you may first need to create a new role. 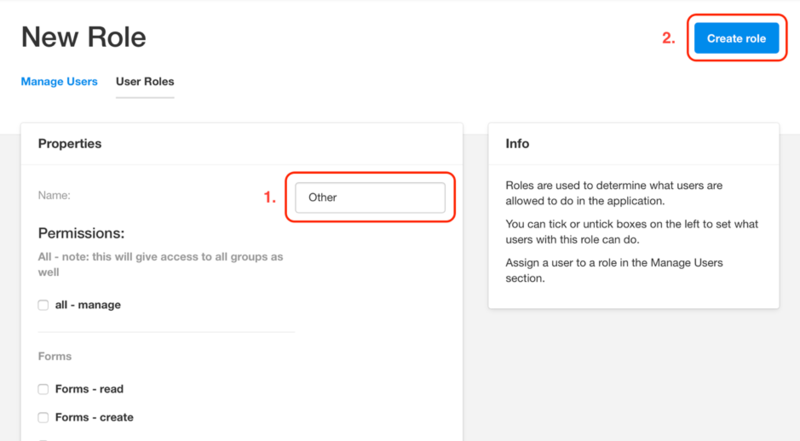 To create a new role, click on “User Roles”. This will take you to a page that displays your current User Roles. Then click on the green “Add role” button. Next to "Name", enter a new role name, such as “Other”, and click on “Create role”. Please note that no permissions are required when creating a role for the purpose of removing an Owner. You will now see the list of roles, including your new role at the top of the list. Click on the "Manage Users" tab to return to your list of users. Now click on the edit pencil icon on the right of the user you would like to delete. Here you can select the new role (one that is not “Owner”) from the list. Then click on “Update User”. This user will now be able to be removed, by clicking on the “X” on the right. You will be prompted with a pop-up message asking you to confirm deleting this user. Click "OK" to confirm and the user will be removed from the organization.